Time to enjoy what the Island has to offer... Actually, the fun started for me at the Fireworks on the 4th of July...right from "the bombs bursting in air"...right on cue! Yes, that was planned and it worked! Now on to other adventures...some visitors like Nature...we have a lot of it. Some folks just like to sit and visit... Some prefer to shop...Island Style on Lobdell Pt. Road could help with that...Perhaps a remembrance of your Island stay? So could the Red Cup! Necklaces take up so little room in your suitcase! Art in the Park! - Can't forget this fun event - Saturday -11 to 3 at the ANC...ice cream... brats et al...hands on art activities...Oh my! Pioneer Day - Wednesday - Family Craft: Corn Husk Dolls ...Wagon Rides, too! Midsummers Music: Concert - Thursday - Historic Island Dairy - 6pm - Note: 50% of the ticket price will be donated to the Rec Center here on the Island. For further info call 920-854-7088. A Final Note: Our Fire Department is on the small side...much effort was spent on the traditional opening activity on the 4th, the Pancake Breakfast! By the evening, safety management of the site and manning the Fire Department equipment were the priorities. It didn't seem as if there were enough workers to pass the Helmets and Boots...the donations suffered. As I remember last year, we had rain and there was a scramble so donations slipped then too. 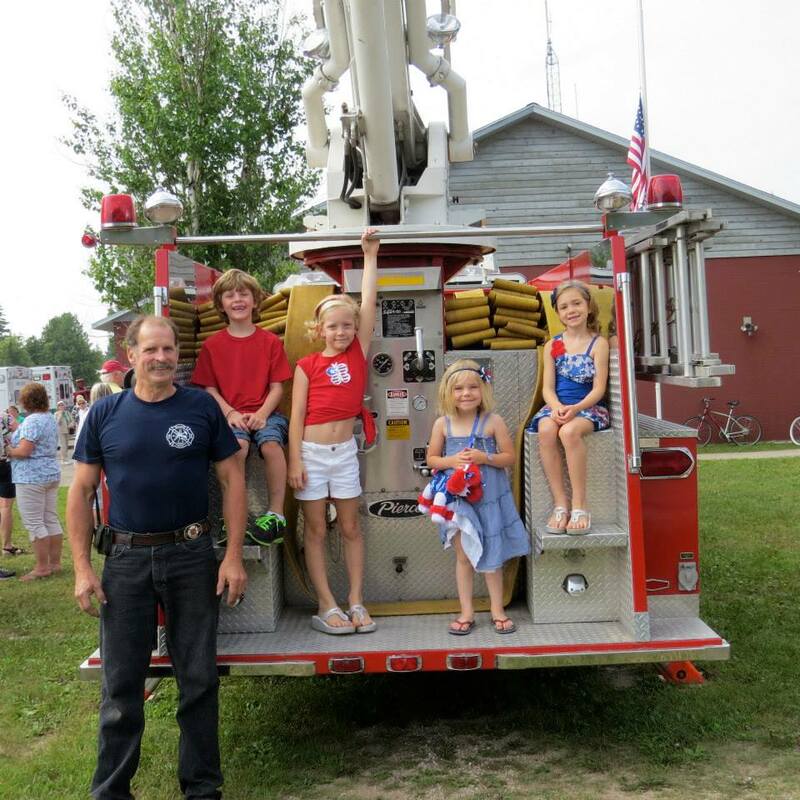 *Here's Fire Chief Pete Nehlsen with a few of his adoring fans. If you see him around the Island and haven't made a donation, remember every little bit helps...on second thought, Pete moves pretty fast so mail it to him. Fire Dept. 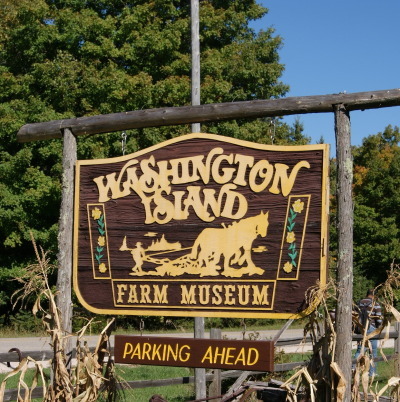 PO Box #100, Washington Island 54246. Thanks to WIFD for the great show!